rules I play – Attenzionen!!! Probabely every wargamer knows these moments when he needs to decide how to base his wargames models. Basing mostly depends on the rules you use. With the more common rules like DBX or FOG this has standardised on 40mm width by 15 / 20 / 30 / 40 / 60 / 80 mm depth. When playing games set in the 1700 to 1820 horse & musket era you find a much greater diversity of wargames rules and thus also basing standards. The ACW Longstreet campaign starts wirth few but large units, 3 infantry, one cavalry, and a battery of artillery. 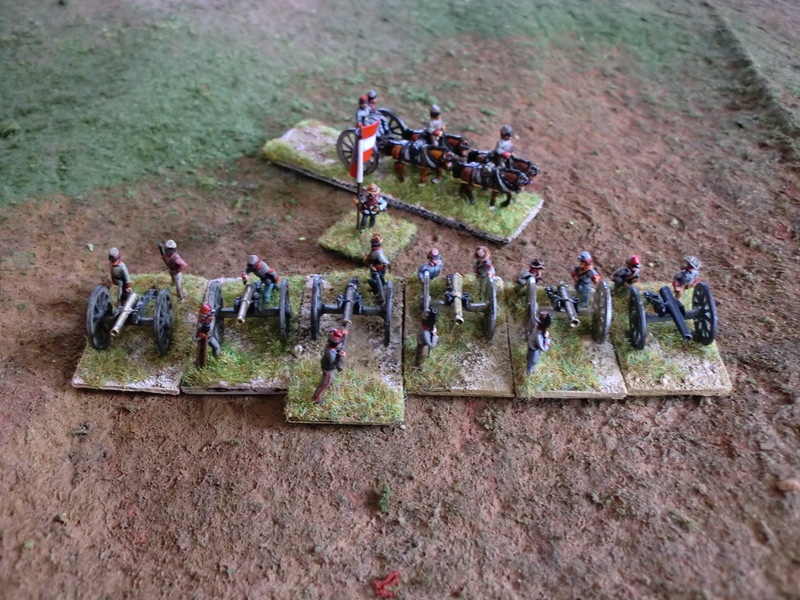 As the unfolds the brigades have more and smaller infantry units and the number of artillery increases. So for the gamer the need arrises to add a few guns to the brigade. This weekend I took part in a SAGA tournament at KlingenCon LXII in Remscheid / Germany. Some 24 players took part with their Dark Age or Crusader armies battling over lovingly craftet terrain.